Are you a Magento Go user still in search for a suitable platform for your business? Of course, it seems that there is a plenty of time till February 1, 2015, when the solution will be discontinued. But it is streets better to select a new shopping cart and perform the migration before the deadline. Moreover, it is highly recommended to do it till Christmas Rush to increase revenue during the holidays! So, where to migrate? Many e-merchants believe they can achieve high sales with Bigcommerce. The platform was founded back in 2009 and has gained the wide popularity on the e-Commerce market very quickly. Today, it is one of the friendliest shopping carts for all scales of business and has already set up more than 50,000 of e-stores globally. Mobile-optimization allows your web store to be displayed properly on smart phones, iPhones and other mobile devices. New features are being constantly developed by Bigcommerce based on customer feedback and can be added to your shop through a simple upgrade process. Customizable design templates make it possible to create a stylish look for an e-store and capture consumer attention to drives sales. Powerful SEO and marketing tools are included to increase traffic to your web shop. Bigcommerce is hosted solution as well as Magento Go, which means you don’t have to look for a hosting provider. Are you ready to enjoy the benefits of a new platform? Then, take a look at the prezi, which illustrates how easily and smoothly the migration from Magento Go to Bigcommerce can be performed with Cart2Cart. 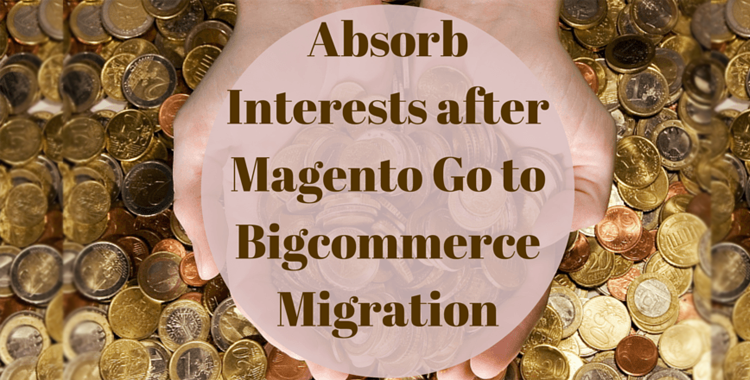 Now, you know how to migrate from Magento Go to Bigcommerce at ease. So, save your time and register a Cart2Cart account to get a new store of your dream immediately!